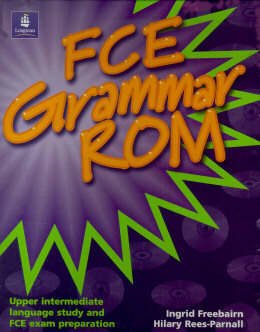 * FCE Grammar Rom - Building on the success of The Grammar ROM, this new higher level follows a similar approach to the presentation and practice of grammar, whilst preparing students thoroughly for the Cambridge FCE exam. The additional exam practice section includes exam training and interactive tasks for the five different papers: Reading, Writing, Use of English, Listening and Speaking. * Students can study at their own pace in a fully interactive environment and with instant on-screen help.